A car dealer, Nelson Oyem, has been remanded in the Ikoyi Prison after he was accused of defrauding a man of N360,000. Oyem, who was arraigned at the Ebute-Meta Magistrate’s Court, was granted bail in the sum of N100,000 with two sureties in like sum. the sureties should deposit the sum of N360,000 in the account of the Chief Registrar of Lagos State before the bail could be perfected. The 32-year-old was arraigned on April 17 on two counts of fraud and stealing. The charges read, “That you, Nelson Oyem, sometime in January 2017, on Pastor Joel Street, Ogombo, Ajah, Lagos, in the Lagos Magisterial District, did fraudulently obtain the sum of N360,000 under the pretext of clearing one 4Runner Jeep, 2002 model, from Cotonou port, thereby committing an offence punishable under Section 314 (1) of the Criminal Law of Lagos State of Nigeria, 2015. The defendant pleaded not guilty to the charges and elected summary trial. His counsel, Spurgeon Ataene, asked the court to admit him to bail in liberal terms. The police prosecutor, Inspector Adams Cousin, did not object to the bail application. Cousin announced the presence of the complainant and the Investigating Police Officer, Inspector Alli Uwensuri, of the State Criminal Investigation and Intelligence Department, Yaba. The chief magistrate admitted Oyem to bail in the sum of N100,000 with two sureties each in the like sum, adding that the sureties must be resident within the court jurisdiction. 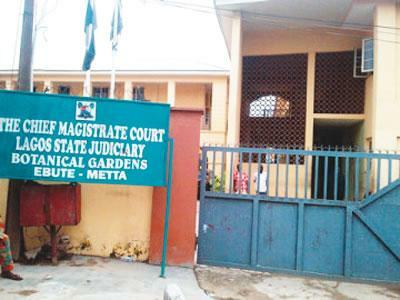 “The sureties should show evidence of residency registration by the Lagos State Residents Registration Agency and tax payment to the Lagos State Government; the residence and office/business addresses of the sureties should be verified and the sureties are to deposit the sum of N360,000 only to the Chief Registrar of the High Court of Lagos State. The said sum is to be paid into the Chief Registrar’s account,” he added. The Punch reports that the case was adjourned till May 16, 2018.